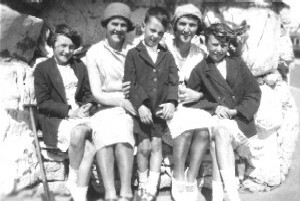 Jack as a young lad is pictured here on holiday with his mother and sister Ena on the left, and his Aunty Bet (his mother’s sister Elizabeth) with his sister Lucy on the right. We’ve got no soap at our house. Before being called to see the head. What was a lad to say? Of course we’ve soap at our house. Landing him in double the trouble. Oh great, thanks sis, he said. I am still searching for a picture of the bridge that Jack built to share with you. For those of you who may be interested the name “Carrs” is believed to be derived from the Norse “Kjarr” which means “meadow recovered from Bog”. 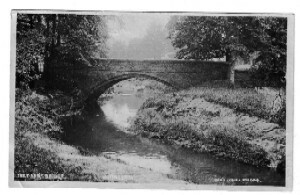 I am indebted to The Friends of The Carrs website at www.friendsofthecarrs.org.uk for this information. Here is another of Jack’s little gems. It is undated as it has never been submitted for publication before. In the calm imagery of the night. Banishing night’s cradle of illusion. And the night cannot reach my outstretched hands. One of the gems amongst Jack’s poems, this short poem was accepted by The National Poetry Foundation in 1988 to be included in the publication of a collection of his work. As I said in my last post, this unfortunately never came to fruition. With stone strewn by a quarry blast. Last remnant of some holocaust. The strength of one the strength of all. A worthwhile task, a good stone wall.